We all look to the Internet when making important decisions, and dentistry is no different. More than 70% of all patients start their search for a new dentist on Google. It is critical that your marketing strategy includes a consistent, effective effort that enables your practice to be found. Depending on the competitiveness of your market, it is often necessary for organic, paid and mobile search to be incorporated into your SEO strategy. 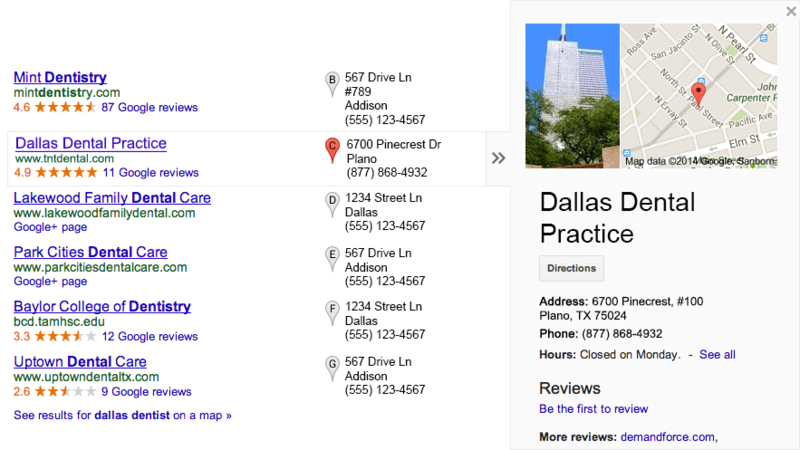 Everyone wants their practice to appear on Page 1 of Google. Fortunately, there is not a secret formula to make this happen. Google is constantly updating its algorithm to deliver the most useful results to its customers, and we work hard to position your practice accordingly. Our efforts are genuine, sustainable and focused on consistent, long-term results. We utilize all of the following tools to help your practice get found. 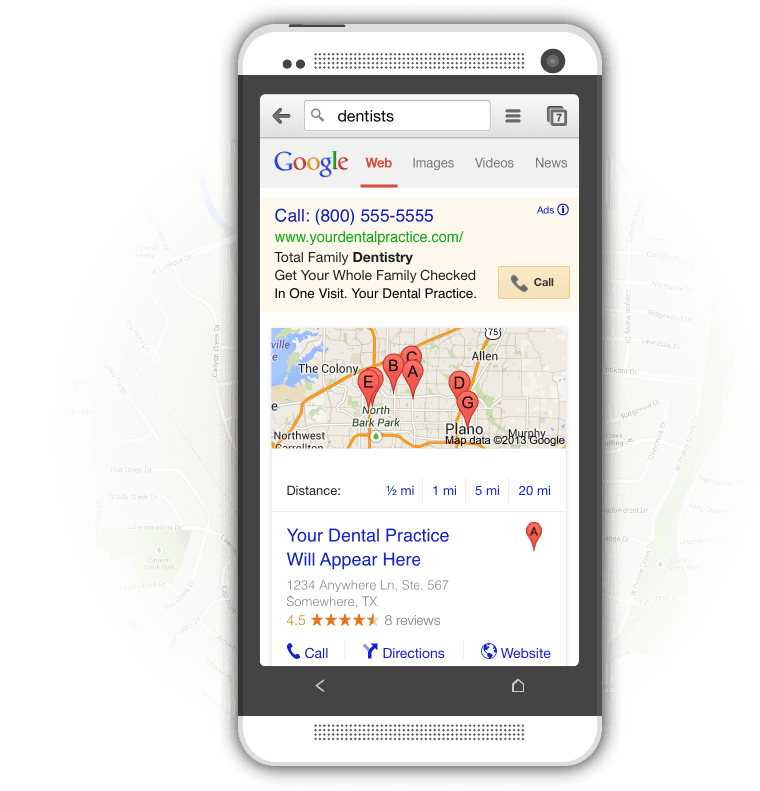 For many dentists, organic search is not enough. Due to geography or other competitive factors, you may need other tools to achieve the desired results. By combining our dental knowledge and technical expertise, we are able to position your practice exactly where patients are looking. This could be on Google. It could be on Facebook. Or, it could be both. 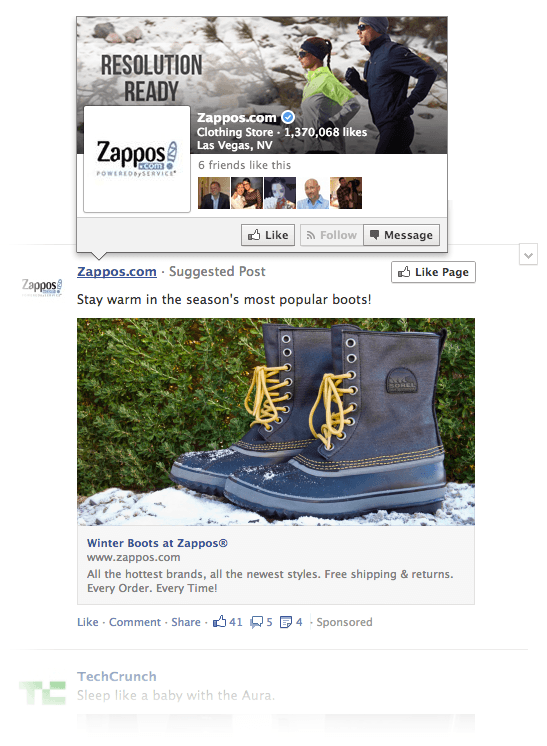 Best of all, you pay only when someone actually clicks on your ad. The results are tangible and the ROI is high. We have been very impressed over the last 18 months with TNT Dental. They have created an amazing website that helps us stand out from our competitors. The SEO has gotten us to the first page of Google and maintained our position, which is imperative for our industry. Also, TNT runs all our social media. I have been working with TNT Dental now for 2 years. I left a previous web hosting service that used a cook book program. They often did not think outside of the box. TNT is always available to their clients as a team to brainstorm ways to enhance my online presence with innovative ideas. TNT puts their best efforts forward for their customers. I am very pleased with my relationship with them..
More than 25% of all searches on the Internet are done on smartphones and tablets. This means your website better look good on mobile devices, and it means your Google+ page better be top notch. Many patients see this first, and they check out your image and reviews even before visiting your website. 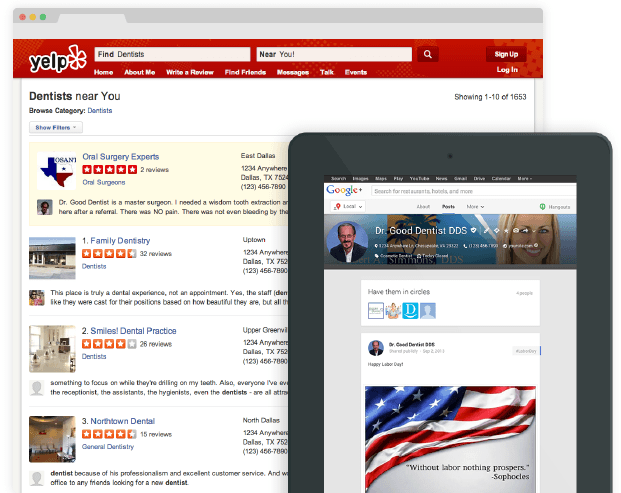 TNT can make sure your practice is found – and looks good – on every device and every platform. Even when you are on Page 1 of Google, you are not alone. Potential patients still see multiple listings and have to make a choice. Some results have photos. Some have stars. Others are worded just right to elicit a positive response. TNT understands all of this, and its team of experts incorporates all these factors into your SEO strategies.